The Ultimate cure for that sinful chocolate cake!! Sugar free, healthy and totally clean! Now I LOVE baking, but my problem is, is that I eat the whole batch in one sitting! So I never bake because I end up having to throw half the batch away because I just don’t have the self control to stay away haha… I have been meaning to come up with a batch that would cure my craving and only make enough for one sitting but still satisfy me without killing my macros. So this is what came of it and they turned out delicious!! 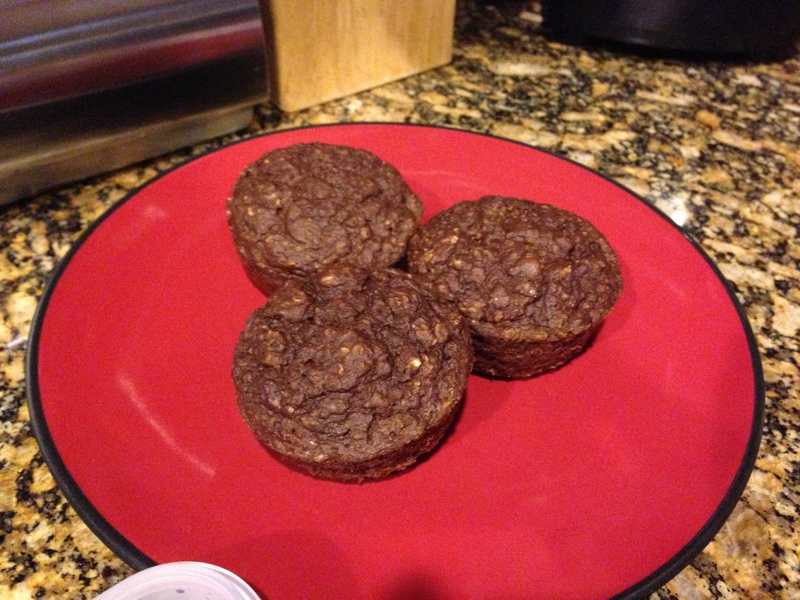 and very chocolatey… They are about 150 calories for all 3 depending on your protein powder. You can top with Peanut butter, PB2, or protein icing!! Anyway, Hope you like them!! Combine all ingredients in a bowl and mix well. 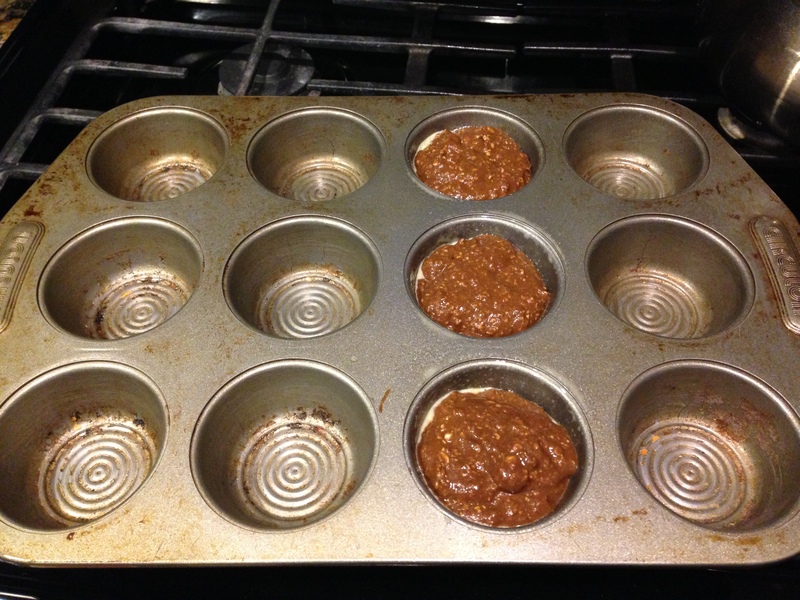 Then stick in a greased muffin tin and bake for 15 min. My batch made 3 good sized muffins! How do you make protein icing??! !